← Padres new Closer Huston Street is a Speedo-Wearing, Cross-Dressing, Party Animal! Serious? 32°!? What the hell? 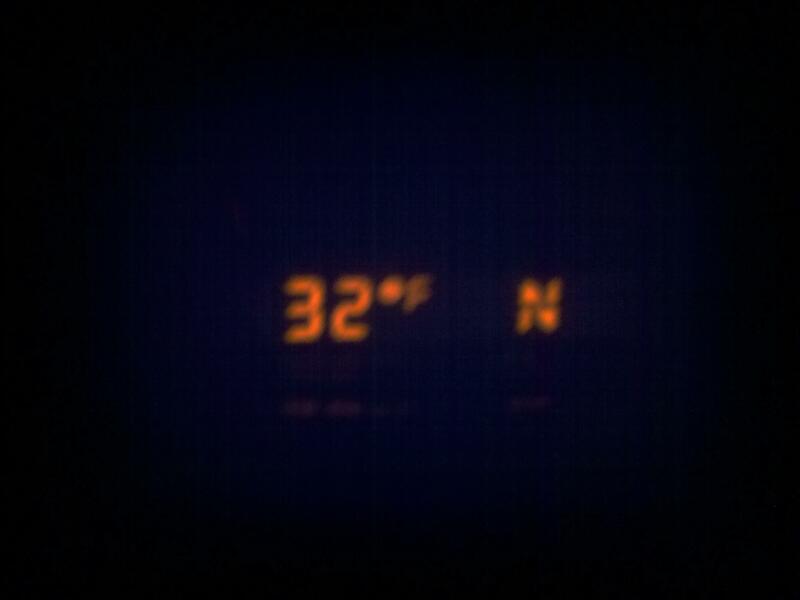 That blurry picture is the temperature gauge on truck this morning at 5AM. In fact, I missed the pic, but it got down to 31° while driving to work. No thanks San Diego… send that crap right back to the Rockies. This entry was posted in News and tagged san diego is cold!, san diego weather. Bookmark the permalink.